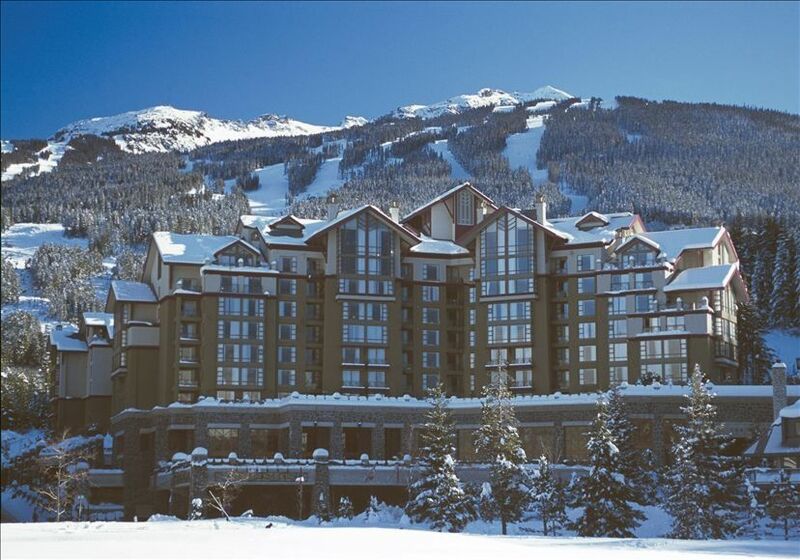 Luxury at the base of Whistler Mountain, at the award winning Westin Whistler Resort & Spa. Our Deluxe 1 Bedroom suite is in the East Tower and overlooks the Village and ski slopes. Watch the Whistler Gondola go by your window as you relax in front of the fire after a hard day on the slopes. Our unit consists of 1 Bedroom Suite (unit 927). The 1 bedroom has a king sized bed with a queen sized pullout sofa in the separate living room, a full bathroom and kitchen with seating for four. The unit includes a fully stocked kitchen (with full utensils), stove, oven, microwave, dishwasher, refrigerator. There is a flat screen TV with high speed internet and wireless access available in the living room and bedroom. The floorplan of the unit is shown in the photos section of my listing. All the amenities of the Westin Resort are at your fingertips, including a spa, outdoor heated pool and indoor/outdoor hot tubs. You can't get a location any closer to the slopes, as the Whistler gondola is 10 steps from the Westin and the hotel provides a valet at the end of the day to check your skis for you. The Whistler Kids ski school is located in the Whistler Gondola building so it is very convenient as well. I also have a connecting studio unit if you need more room (see vrbo listing 1421789). A great rate for this 1 bedroom. The unit has been recently updated by the Westin with new carpet, paint, furniture (including pullout sofa couch) in the fall of 2017 so the unit is like new. Go to Westin's website and you will see the lowest (fully prepaid) daily rate for a 1 bedroom is $800 CAD per night. My unit is in the East Tower so it is a Premium unit given the views of Whistler Mountain and the Village. Although there are no reviews on my listing, I have a handful of renters that have consistently rented my units over the years that would be happy to provide you with feedback. I'm a passionate skier with a wonderful wife and 2 children (Emma - 16 and Hayden - 14). We love skiing and have been going to Whistler for 14+ years now (we live in Atlanta, GA). Me and my family love to vacation at Whistler because the skiing and amenities are some of the best in the world. The kids (ages 16 and 14) love the Coca-Cola tubing park, the outdoor ice rink in Olympic Plaza, and the Whistler Rec Centre. We love the Westin because it is located slopeside to the gondola and village and the amenities are very nice. The kids (and adults) love the indoor/outdoor pool and hot tubs. And if skiing is not enough excitement for you, try the ziplining over Fitzsimmons Creek or going for a run on the four-man bobsleigh run on Whistler's Olympic track (the fastest in the World). Coin operated washer and dryer are at the end of the hallway on the same floor so it is very convenient. Underground, self-park of valet for a fee. Fitness facility is located in the pool area. Full utensils and stove top range and oven in the 1 bedroom side with a table for four (with chairs). The Studio side also has a refrigerator, dishwasher, sink, oven, stove, microwave, + utensils. Our unit is 926 & 927 (connecting) on the top floor of the Westin (in the East Tower) and overlooks the ski slopes, village and gondola. We rented the one bedroom suite for a week. Fabulous stay, room was spacious, modern and clean. Great views of the mountain from the room. On Sundays, you can see the fire and ice show from the room. The location is very close to the gondolas, as well as restaurants, shops. However, it is quiet and away from the noise of the village. The owner of the unit was very pleasant to deal with, pro-active in communication and prompt in responding to questions. Highly recommend. My rate includes all taxes and daily cleaning of the units. The renter is responsible for any incidental expenses incurred at the resort, including a daily fee for parking of $25 (self-park) or $35 CAD/day for valet.